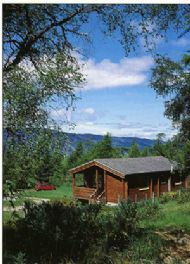 We have two entirely different types of property for rent, both situated near the Highland capital, Inverness, and both offering a perfect base for a relaxing break. Right on the shore of Loch Ness (alarmingly close during a storm! ), overlooking picturesque Dores Bay, and next to the Dores Inn. What more could you want? Iain & Candy Cameron, Drummond, Dores, Inverness, IV2 6TX.